Place homes and decorations wherever you want, and decorate as you please. The SKSE team -- foundational tech used in Cobb Positioner and Atronach Crossing. Chesko -- open-source rotation math used in Cobb Positioner. Content pack changelogs can be found in the Articles section. 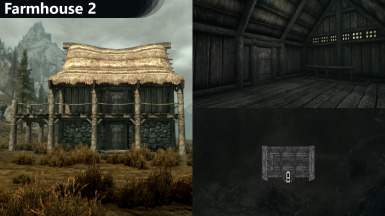 Changelogs for the main Atronach Crossing file(s) are below. Fixed multiple bugs stemming from Cobb Positioner's recent updates. Cleared the "Run Once" flag from some of the quests used under the hood to manage Atronach Crossing's systems; this should make certain game engine bugs easier to recover from. 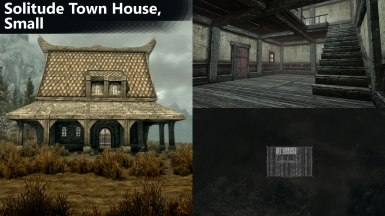 Minor fix: All player homes now have unique Location forms, which use the LocTypePlayerHouse keyword. 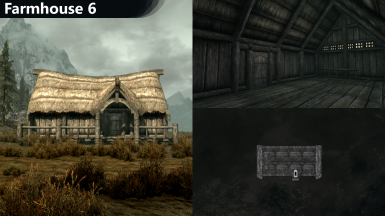 This should hopefully improve compatibility with mods that react to the player's current location (e.g. mods that automatically swap the player's outfit to casual dress when at home). Placeable invisible bookshelves have been added, to stack books vertically or line them up horizontally. You can use these decorations to stack books on a desk, or turn any surface into a bookshelf. These decorations are INVISIBLE and must be "revealed" using Cobb Positioner v2.2.0+ (either through its MCM, or automatically as part of "Multi Mode"). 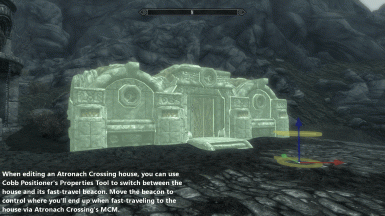 Fixed a critical issue wherein Atronach Crossing's check for Cobb Positioner can deadlock, breaking the MCMs for both mods. 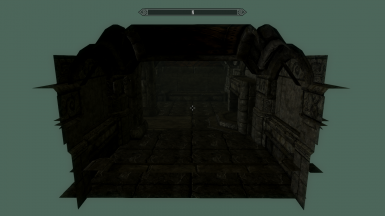 This bug would prevent Atronach Crossing's MCM from ever appearing in SkyUI, and would cause Cobb Positioner's MCM to remain blank when opened. 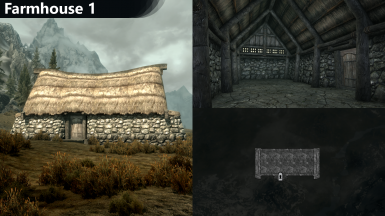 This bug would only occur if you installed Atronach Crossing after Cobb Positioner (as opposed to at the same time), and can be resolved by using Savetool (or a similar save file cleaner) to delete all data associated with Atronach Crossing from your save file. 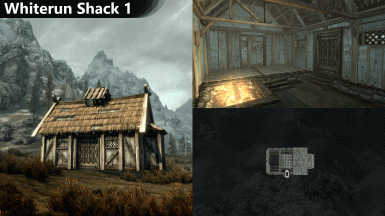 (For Savetool, one would accomplish this by opening the save file, clicking the "Mod editor" button, selecting only Atronach Crossing, and then deleting the selected mod's "forms" and "scripts.") The bug would've prevented you from ever using Atronach Crossing, so affected users should lose nothing by cleaning their saves. Even so, I apologize for the inconvenience. Updated Atronach Crossing to respond properly to Cobb Positioner's new "storage" and "duplication" features. BUGFIX: When you drop an Atronach Crossing item from your inventory, its spawn position is determined based on its size. Previously there was a very narrow range of sizes where the spawn position would be a fair bit closer than intended -- imagine a line graph with a sudden drop in it. BUGFIX: Fixed collision data for the Cage, Hanging decoration; placing the cage, leaving the area, and returning should no longer cause a CTD. The DLL-side function used to compute spawn positions for dropped decorations and homes has been marked as “no wait,” which should allow it to run marginally faster. BUGFIX: Fixed broken update code: an “updates” quest was supposed to restart whenever the mod updates, but I forgot to specify the quest editor ID. This was purely an internal problem, and nothing depended on that functionality working. Fixed collision on the Dwemer Pipe, 3-Way decoration. Fixed a DLL-side bug that prevented houses from spawning their fast-travel beacons. Attempting to fast-travel (via the MCM) to a house affected by the bug will fail silently and log a Papyrus warning; however, you can correct any affected houses by simply selecting and deselecting them in Cobb Positioner. Fixed collision issues with the Nordic Temple Fill and Nordic Temple Floor decorations. They should no longer gently drift away like balloons when bumped. Renamed the “Cage” decoration to “Cage, Hanging,” and modified its collision. The air in the center of the cage should now block spells, making the cage easier to select with positioner mods. 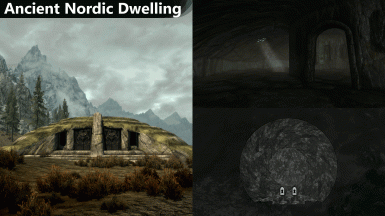 Renamed the “Ancient Nordic Dwelling, Hewn” home to “Ancient Nordic Dwelling, Temple,” as that describes its stone texture more consistently with other content. The interior cell’s editor ID has been changed as well. Minor update: fixed a regression in v2.0.5. 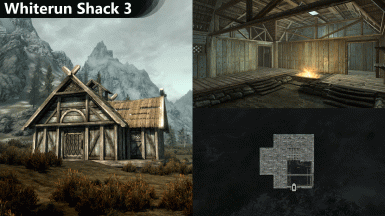 The "All Unlocked Items" category is supposed to be hidden when none of Atronach Crossing's content has unlock requirements (the DLC pack adds some unlockable story items). As v2.0.5 was a hasty emergency fix to bugs introduced in v2.0.4, it broke this particular bit of functionality; v2.0.6 corrects this. Three patches in day -- I apologize for the inconvenience. The dust should be settled now. 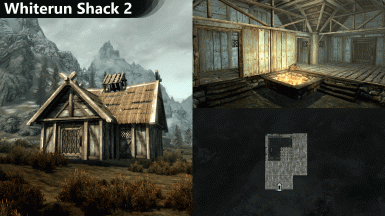 Fixed a CTD that occured in v2.0.4 if you *didn't* have the DLC content pack installed. The CTD resulted from errors in the code meant to delete the "All Unlocked Items" category if there were no unlockable items loaded. Fixed a bug that could cause the barter menu to stop working, or to only ever show an empty list. Fixed some of the INI-controlled debug logging in the DLL: not-equal conditions now properly log "!=" instead of blank; and actor-base-death-count unlock requirements now properly log a UInt32 as %d instead of %f. Sweeping under-the-hood changes to the DLL: exceptions and C++11 features are now used in almost all systems. 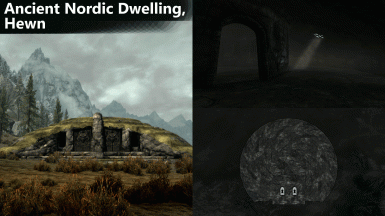 This may cause marginal slowdown when loading or accessing Atronach Crossing data, but it should also be more stable. In particular, heap corruption bugs (and consequent CTDs) brought on by the DLC content pack have stopped occurring in tests with an affected user. Fixed an issue with the merchant actor. 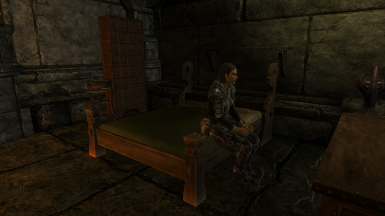 As part of another bugfix, I stopped having scripts move her to the player and instead kept her in her holding cell. The problem is that her merchant faction was set up to only sell when she was near the player; she is now set up to sell whenever she is near herself. Fixed a minor Papyrus warning generated by the DLL on startup. The wooden mannequin decoration now supports a feminine variant. Atronach Crossing spawns feminine mannequins by default when possible; you can change a mannequin's gender using Cobb Positioner's Properties Tool. The wooden mannequin decoration's inventory model now actually shows the mannequin, and not just the pedestal it stands on. Changed how the DLL loads certain kinds of data. Two users have reported CTDs with the DLC content pack, and while I can't guarantee that this change will fix that problem, I certainly hope it does. Fixed a bug that caused wooden mannequins to have invisible bodies when not wearing any torso garments. Due to the fix, existing wooden mannequins may appear thinner than usual and will have a neck seam if so. This can be fixed by deleting the mannequin (returning it to your inventory) and then placing it again. Important stability fix: decorations that attach Papyrus scripts at run-time no longer duplicate these scripts on the same objects. Code has been added to retroactively clean potentially-affected objects up at the earliest opportunity. Under-the-hood improvements to how mannequins are defined (but they're still not quite perfect yet). Under-the-hood improvements to how weapon plaques are defined: it is now possible for mod authors to define weapon plaques that accept arbitrary types of items (e.g. a "dragon claw" weapon plaque or a "dragon priest mask" weapon plaque). Improved specular highlights on mannequins. These fixes may make AC mannequins inconsistent with vanilla ones, since USLEEP doesn't have them. 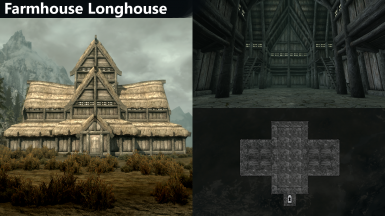 Cobb Positioner and Atronach Crossing have both been updated to version 2.0.0. 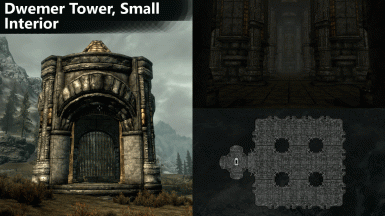 If you update one of these mods, you must also update the other, or Atronach Crossing will break. 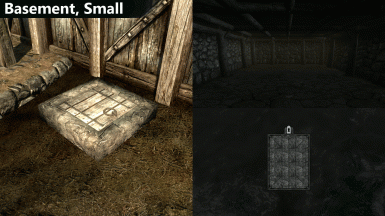 Atronach Crossing will warn you on startup if it detects that you have Cobb Positioner 1.x installed. 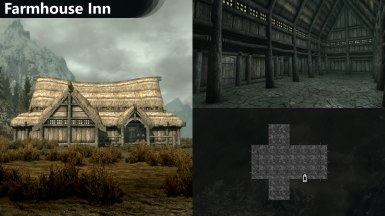 Atronach Crossing is now flagged as a master, and communication between it and Cobb Positioner has been improved. 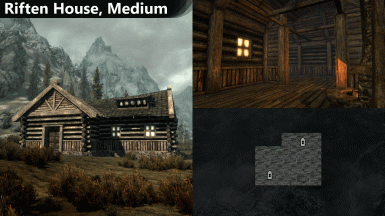 These mods' position in your load order should no longer matter. They now have some *.PEX files in common, which may lead your mod manager to warn about conflicts, but these files are identical between both mods and the "conflicts" should not cause a problem. When filtering the barter menu to a category, categories are now sorted by their displayed names, save for a few that are intentionally kept at the top of the list. Previously, they would be sorted by their internal identifier (e.g. "UPRC" for "Upperclass"). Atronach Crossing now shows its version number in the MCM, along with the status of Cobb Positioner if that mod is detected. All beds, benches, and chairs should now offer a default "Do Nothing" option when you use the Properties Tool to customize their entry directions. The "Nordic Lamp" decoration has been renamed to "Horn Candelabra." The "Statue of the Grey Fox" decoration has had its physics removed. Removed Keyword forms that weren't useful or consistently used. 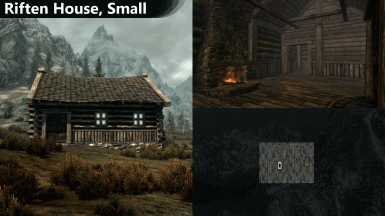 Atronach Crossing content packs are now capable of specifying "local" item categories, to avoid overwriting categories from other content packs. Until I finish the documentation for creating content packs, this change won't be terribly useful to anyone. 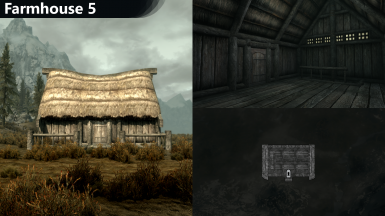 Atronach Crossing now defines generic replacement decoration messages for use by content packs. The Message forms have IDs 0201BED* for beds, 0201BEC* for benches, and 0201FCA* for chairs. 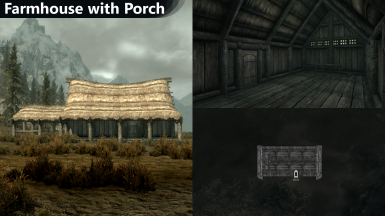 Atronach Crossing now has meshes and internal data for feminine mannequins (which may be used by content packs), along with textures "reverse-engineered" from Bethesda's mannequin textures. However, because the textures are low-quality (half-resolution), "Decoration: Mannequin, Wood" has not been extended to allow spawning feminine mannequins. Addressed a compatibility issue with World's Dawn: bookshelves, mannequins, and weapon plaques should no longer spam error messages (about disallowed items) when World's Dawn's "Scan Containers" function touches them. Improved mannequin collision and handling. Mannequins shouldn't "drift" off of their bases as much, and it should be possible to select and edit a mannequin by tagging the actor. Note that if a mannequin has already drifted off of its base, it may not respond even if it displays an activation prompt. Activate the base (pedestal-lookin' thing) to move it back into position and fix it. Make sure you're running the latest version of Cobb Positioner for this update. A minor bit of defensive programming: bookshelf decorations, mannequin decorations, and weapon plaque decorations now silently reject any items that are transferred from containers/characters that are not the player. Console- and script-created items should be unaffected. Echoes the total time taken to load all *.AC.COBB files. Should echo the time taken to load each *.AC.COBB file. Instead, only ever seems to echo zero. Eh, whatever. Forces AC to log the few errors that it otherwise doesn't bother to announce. Forces AC to log minor warnings (e.g. when encountering unrecognized data). These aren't considered errors because things like new features would trigger these warnings in old versions. Forces AC to announce every item it loads -- decorations, homes, unlock requirements, and so on -- after loading them. Forces AC to log recoverable parser-side errors, e.g. attempting to read past the end of a record. Forces AC to log detailed information from the binary parser, such as when a record is opened or closed. You will get a LOT of log spam from this. Logs minor information when filling the LeveledList that is used as part of an internal mechanism to populate the Atronach Crossing barter menu. To clarify, these INI settings make the DLL log to Documents/My Games/Skyrim/SKSE/AtronachCrossing.log. All INI settings are off by default. Improved the spawning system for decorations and houses. They should spawn at a distance proportional to their size (and your viewing angle, since they always spawn at the same rotation), such that very large objects will never spawn around you and trap you inside of them. Fixed lighting and shading on the paintings. They should be much more visible now. Made internal changes to prepare for a future content release: decorations can now be made available for purchase only while a specified NPC is alive. Checks can rely on an Actor reference, an ActorBase death count, or both with the latter used only as a fallback; best practice is to use both, to ensure sane behavior if the player uses the "resurrect" command. Made internal changes to prepare for a future content release: sets of item unlock requirements can be defined once within a data file and reused for several items; and items can have multiple sets of unlock requirements linked with AND relationships (each of which can contain multiple individual requirements linked as all-AND or all-OR). Made internal changes to prepare for a future content release: added an "All Unlocked Items" category that shows only if Atronach Crossing items with unlock requirements exist. Internal change: the DLL now warns if an item is defined as a decoration's placed object, so if I ever mix up form IDs (which is a thing that almost happened), I'll hopefully have some notice. Fixed a bug with invisible light emitters that caused their radii to be 511 units larger than they should've been. This fix is retroactive (i.e. your placed emitters will be smaller once you install the mod). Fixed a problem that prevented many furniture objects from showing up in their respective categories, when shopping for decorations. 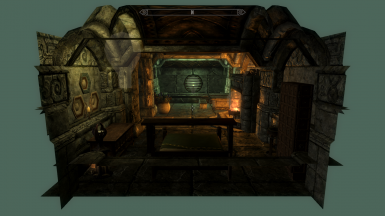 Fixed a minor geometry issue with the Windhelm Mansion 1 interior: a small wooden beam was merged into a wall where it should've been. Fixed minor Papyrus warnings that were generated when selecting a house to fast-travel to in the MCM. 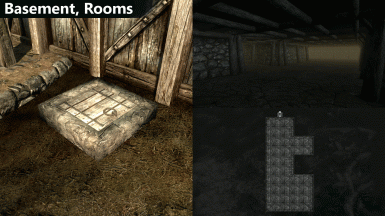 Fixed the 3D models for the floor pelts so that they no longer Z-fight with the floors they are placed on. 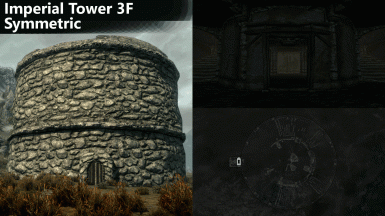 Added a Power that can be used to open Atronach Crossing's item menu without going through the MCM. This is disabled by default; enable it through the MCM's Options menu. All decorations that have optional lights, and that change in appearance when these lights are on (e.g. a Dwemer lamp having a glowing wick), have had new options added to them. You will be able to trigger the appearance change without having the decoration cast light. You can pair this with the invisible light emitter decorations to have finer control over your home's lighting. Added an "All With Properties" item category, which lists every decoration that can be customized with Cobb Positioner's Properties Tool. 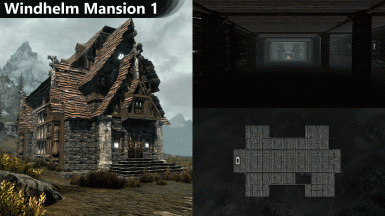 Corrected Solitude Townhouse Medium's interior navmesh and Local Map. Made minor fixes to the shading on the rugs. Fixed coordinates for the "Draugr, Sitting" attachment available to the "Cage" decoration: the draugr's leg should no longer clip into one of the cage's bars. If you have already placed this decoration, the fix will take effect after you make any change (i.e. move the decoration an inch and back, or remove and then reselect the corpse in the Properties Tool). Fixed a rare DLL-side bug: if a decoration defines an attachment with a zero scale, that scale will be forced to one. 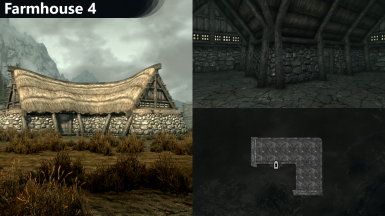 All homes added in v1.1 and v1.2 now have pictures in the Images section of this mod page, showing their exteriors, interiors, and local maps. 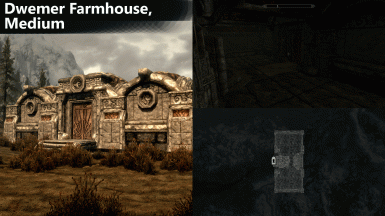 Fixed a problem with the Dwemer Door and Riften Door decorations: both were accidentally mapped to the same item, so only one was ever available for purchase and placement. Deleted some preplaced decoration references (leftovers from literal years ago) from unused cells. This should put a stop to some minor Papyrus warnings that appeared when loading a save. When shopping for decorations and houses, you can now filter items to a single category. By request, added navmeshes to all home interiors. Summoned NPCs should be able to walk around now, though they will not be able to avoid placed objects, and they may not be able to leave houses on their own. 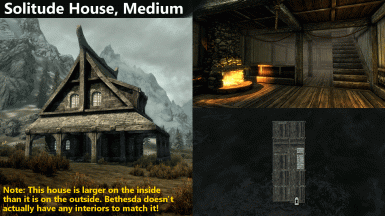 It is now possible to define decorations and homes that only unlock when certain game-related conditions are met, though no content currently takes advantage of this feature. It is now possible to define mannequins, which can support masculine and/or feminine models. Models can be added to a mannequin retroactively; if a mannequin supports both models, you can pick which model to show using Cobb Positioner's Properties Tool. All houses now have NAVCUT data. NPCs should be able to path around them so long as they actually touch the local navmesh (i.e. aren't floating). 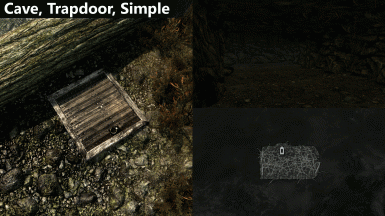 Improved collision on the Dwemer Stairway; you can now walk up it. Made an under-the-hood change to how houses are named. Their entries in the MCM fast-travel list should now be translatable. Miscellaneous minor fixes to how some items display in the inventory (e.g. angle, model). Have you ever wanted to build and decorate your own home? Well, with Atronach Crossing and Cobb Positioner, you can! 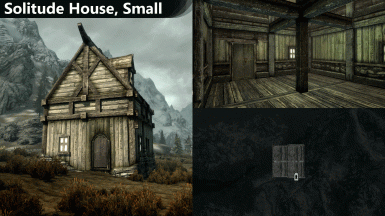 A simple build: a small house placed and decorated in fifteen minutes. 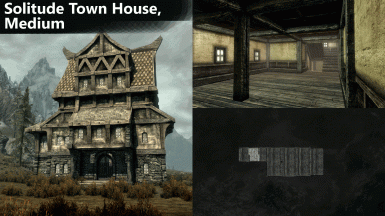 Over 440 decorations to choose from and over two dozen homes, and more get added with each update! 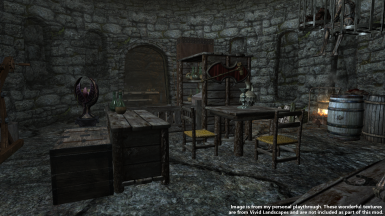 Use Atronach Crossing's MCM to purchase houses and decorations. Drop them from your inventory to spawn them in the world. Use Cobb Positioner to move spawned objects around. 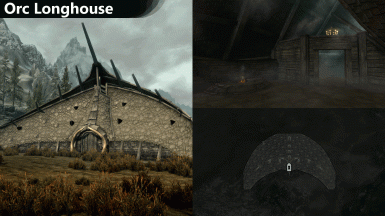 You can fast-travel to any placed house using Atronach Crossing's MCM. You can move the fast-travel point by selecting the house in Cobb Positioner, and then using the Properties Tool to select the fast-travel point. Some decorations, like lamps and furniture, can be customized using Cobb Positioner's Properties Tool. Jaxonz Positioner and similar tools are safe to have installed, but they shouldn't be used to move houses or some decorations. Anything that consists of multiple objects (e.g. a lamp and its light, or a house and its door) should be moved with Cobb Positioner. Not all of these cases are obvious, so it's best to use Cobb Positioner to work with Atronach Crossing content. Outdated versions of Cobb Positioner (any older than v2.0.0) are not compatible. 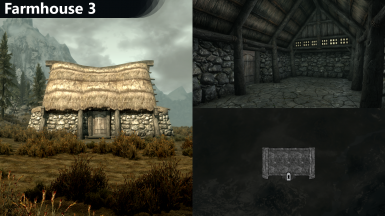 This mod wouldn't have been possible without the work of the SKSE team, and without Bethesda's own contributions to the community. Given its dependence on Cobb Positioner, special thanks must also go to Chesko for writing and open-sourcing some rotation math code that I was able to build on to make this mod possible in its earliest days. This project has been over two years in the making, and it's great to finally see it done. Thank you all. Thanks, also, to all the users who reported issues post-release and worked with me to find solutions and improve the mod further. Particular mention must go to /u/VeryAngryTroll for aiding in debugging tasks that no user should reasonably have to involve themselves in: he tested nearly two dozen debug builds, sending back results promptly and without ever seeming to lose patience, in order to help track down a reproducible yet elusive CTD.